Share the post "Quick plays: BLAIR DUNLOP, LITTLE FEAT, PHIL VINCENT, NEIL INNES & FATSO"
Blair Dunlop has had a good start to his musical career winning the Horizon Award at the BBC Radio 2 Folk Awards in 2013 and earning rave reviews for his debut album, 2012’s ‘Blight & Blossom’. Listening to this it is easy to see why as Blair Dunlop pens a good storytelling tune and he has the knack of taking a pop melody and adding in the folk influences. Single ‘Something’s Gonna Give’ is a perfect example of this, a strong lyrical storyline about schoolboy prejudices, with a pop melody cleverly meshed with a folk music backing. There is the conceptual piece ‘45s (c.69)’ and its companion, ‘45s (c.14)’, looking at a trendy Soho club in the swinging sixties and as it is now. That’s another good string to his musical bow, the ability to write interesting stories in his songs. Then there is the brooding epic of ‘The Ballad Of Enzo Laviano’ which has a western soundtrack about it, although it is actually a fictional account of a young Italian footballer on the eve of his big money move to Naples. 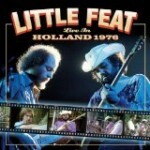 A CD/DVD set recorded when Little Feat were arguably at their prime with Lowell George still very much part of the band. Little Feat are an interesting musical proposition to the casual fan as although they looked like a Southern or country rock band, which they did included in their musical pot, they also had elements of jazz, blues and soul. When I first listened to this band way back in the 1980’s I was not overly taken by them, however time has proved they certainly grow on you and this is a cracking live set. There is plenty to enjoy, be it the rock ‘n’ roll of ‘Oh Atlanta’ through to the southern rock/soul of ‘Dixie Chicken’. The guitar work of Lowell George and Paul Barrere is simply stunning to listen to and watch (the DVD features two fewer songs than on the CD live set). Bill Payne’s keyboards and Hammond playing are an integral part of the band’s sound, often interplaying nicely with the guitars like on ‘Skin It Back’. Phil Vincent has certainly seen his musical exposure rise in the past couple of years as he fronts Legion, the band featuring guitarist Vince O’Regan (who guests on this album) and they have released a series of well received albums to date. Here he returns with a solo album, one of his heaviest to date influenced by his recent work in Legion. Check out ‘Rise’ for further proof, crashing guitar riffs melded with a growl filled chorus line. That’s not to say Phil Vincent has abandoned his melodic rock roots as ‘Bad Girl’ (complete with a little lyrical borrow from a famous Aussie rock band at the start of the song!) has a monster riff and sweet harmony filled chorus. ‘Illusion’ is the album’s ballad, showing of his love of the Beatles a little on the melodies, as does ‘Let Me Be The One’. ‘Slave To Sin’ is a monster! From the riff though to the hook filled chorus, this is one of his best songs to date and that’s no mean feat. There is an interesting use of synths as almost a rhythm guitar part on ‘Take Me Back’. There is also a four part epic, ‘Harmonic Destruction’, clocking in at over thirteen minutes that covers all aspects of Phil’s solo music from a quiet intro through to the hard rockin’ mayhem of ‘Suite Revenge’. Good to see an epic being tackled on here and another musical route to explore in subsequent solo releases. A double live CD covering the musical career of Neil Innes, who has worked with Monty Python and Python Eric Idle, in their Beatles spoof, the Rutles. Eric Idle isn’t involved in this live recording although original Rutles drummer John Halsey features in the Fatso band. 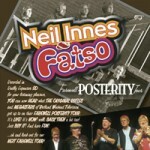 Despite the comical lyrics and pastiche of many of the songs, Neil Innes and Fatso are a group of talented musicians. The Rutles songs like ‘Ouch!’ – guess which Beatles this song is based on – and ‘I Must Be In Love’ are great fun. Python fans will love ‘Bold Sir Robin’ and of course there is the ‘hit medley’ of Bonzo Dog Doo-Dah Band’s ‘I am the Urban Spaceman’. They do throw in a few covers like ‘Reet Petite’ for good measure. Tony Lowe is best known for being in 70′s prog rockers Bram Stoker who recently released a comeback album, whilst vocalist Alison Fleming has been producing music with Tony Lowe since 2006. This album reminded me of the 90′s musical wave of bands like Enigma, Deep Forest and the Orb. Opener ‘Mystery’ really reminds you of these bands, as Alison’s vocals soar over the keyboards and programming. ‘Something’s Going On’ with the repetitive and rhythmic use of the vocals is another soothing song, but don’t go thinking this is nice background music as the guitars of Tony Lowe recall Mike Oldfield. A really enjoyable listen and one to keep coming back to. This entry was posted in ALBUM REVIEWS, ALBUM REVIEWS (Mobile), All Posts, Quick Plays and tagged Alison Fleming, AOR, Blair Dunlop, Eric Idle, folk, House Of Jack, Little Feat, Live In Holland 1976, Lowell George, melodic rock, Monty Python, Neil Innes, Neil Innes & Fatso, Phil Vincent, singer songwriter, Slave To Sin, southern rock, the Rutles, Tony Lowe, Vince O'Regan. Bookmark the permalink.